Read the detailed replication tutorial instead. 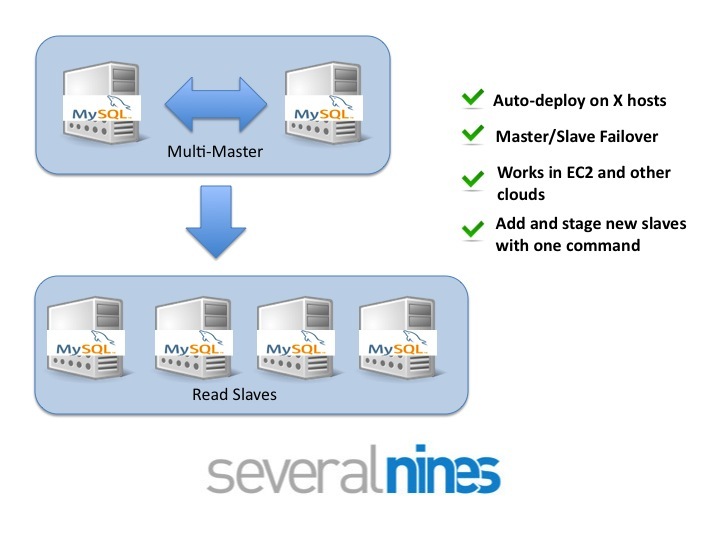 This tutorial shows how you can use the Severalnines Configurator for MySQL Replication to deploy a Multi-master replication setup, and install ClusterControl. 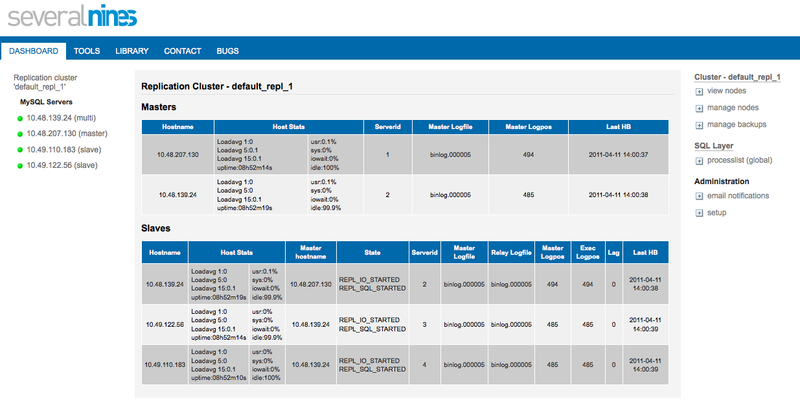 One server (either a standalone or one that will be part of the Replication cluster) is denoted the ClusterControl server. It is holding a database, CMON DB, that contains data about the monitored hosts, and the reporting data from the local agents is stored in this database. 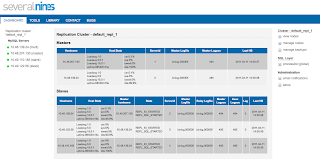 We are in the process of adding a Query Analyzer and shaping up the web interface. The command above will do a CHANGE MASTER (-c) and start replication from MySQL Server 1 to MySQL Server 2. Which means, start all slaves (-a) and change master on those slaves. We got two masters, and the master with server-id=1 replicates to server-id=2, and the master on server-id=2 replicates to the slaves (3 and 4). Good luck and don't hesitate to contact us at feedback@severalnines.com if you have any problems or whatever it may be. You can also book a demo this if you want to know more. 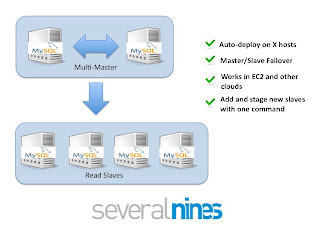 What are the steps to run master master replication with one slave? from 08:00 AM (GMT) / 03:00 AM (EST) on Thursday 13th of October. I will put the link here then too.